In December 2017 and January 2018 I surveyed just under 300 Irish businesses to examine how they used social media in 2017 and their outlook for 2018. One of the main findings of the survey is that, for both B2B (Business to Business) and B2C (Business to Consumer) segments, the most used social network is Facebook with 95% of those surveyed indicating that they use it as a marketing tool. 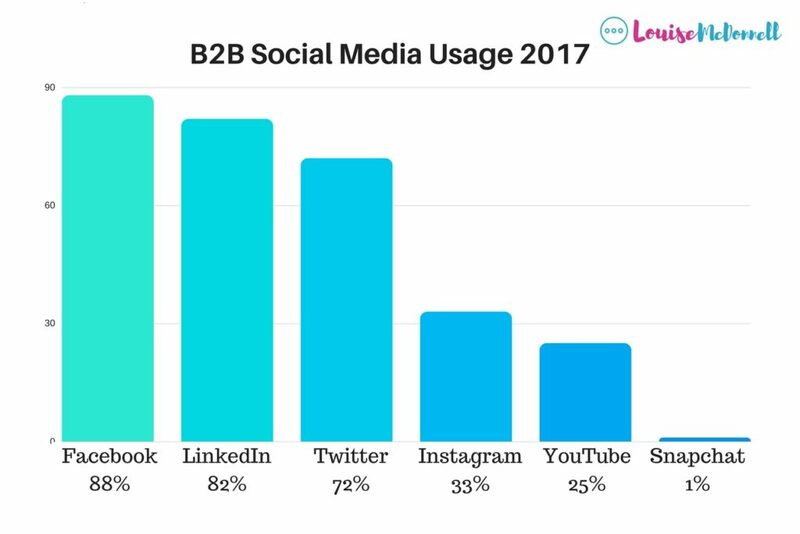 When I drill down into the results there is a variation between B2B and B2C segments but Facebook comes out on top in terms of usage and ROI. 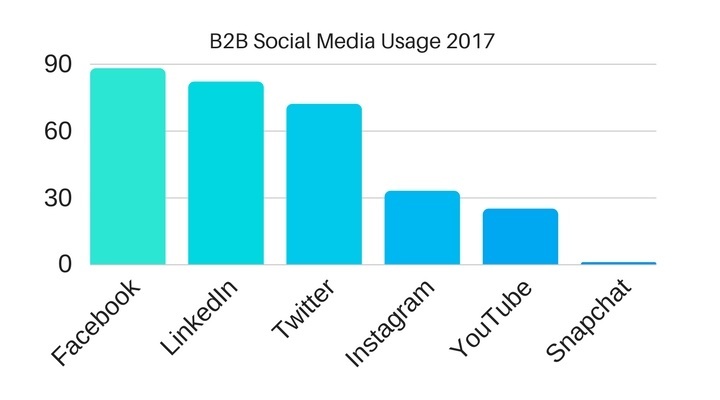 For B2B businesses the most popular social networks are Facebook (88%), LinkedIn (82%), Twitter (72%), Instagram (33%), YouTube (25%) and Snapchat (1%). 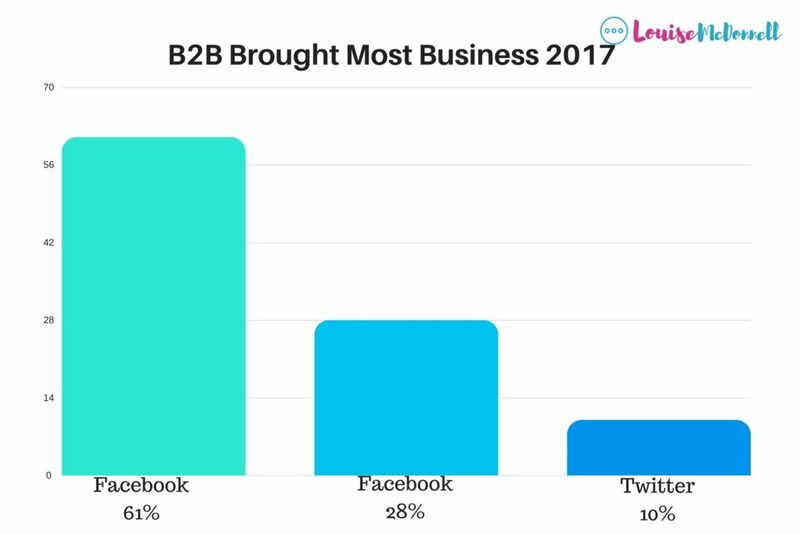 The social networks that brought the most business for B2B businesses in 2017 was Facebook (61%) trailed by LinkedIn (28%) and Twitter (10%). 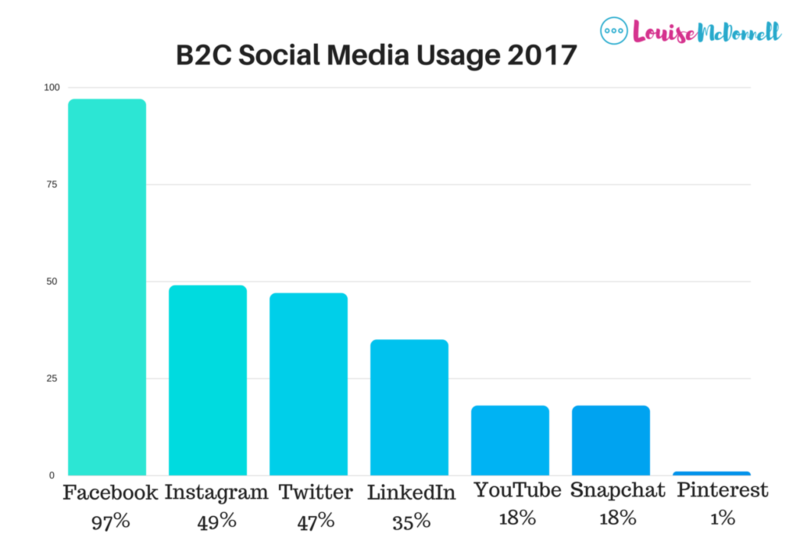 The most popular social network for the Business to Consumer sector (B2C) is Facebook (97%), followed by Instagram (49%), Twitter (47%), LinkedIn (35%), YouTube (18%), Snapchat (18%) and Pinterest (1%). 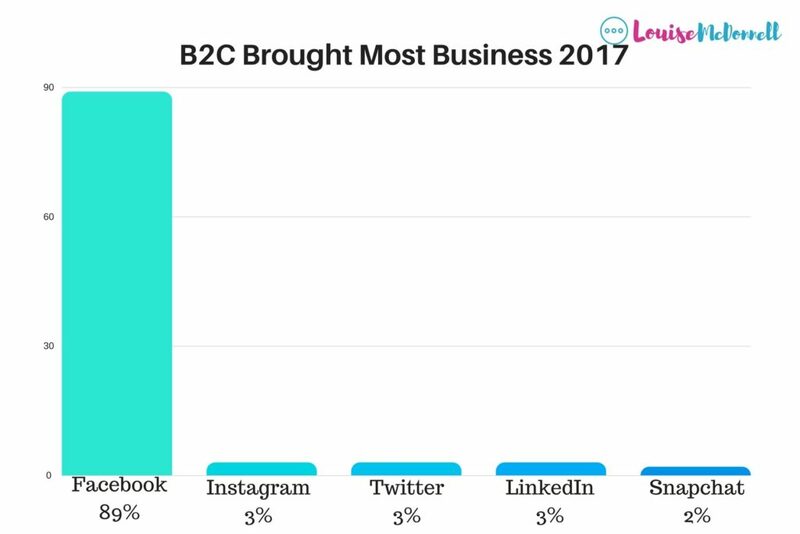 89% of B2C businesses said that Facebook brought them the most business followed by Instagram (3%), Twitter (3%), Linkedin (3%) and Snapchat (2%). According to the survey, the top reasons Irish businesses use social media are to increase brand awareness (82%), to advertise products and services (74%), to nurture relationships with customers and potential customers (59%), to communicate with customers (48%) and to analysis the competition (20%). 64% of businesses surveyed indicated that they use Facebook ads. 50% spend less than €500 per annum on Facebook Ads, while 12% spent between €500 and €3000, 3% spent between €3000 and €10000 and 2% spent over €10000. 50% of businesses expect to spend roughly the same on Facebook Ads in 2018. 23% indicated that they expect to increase Facebook Ad spend by 10-20%, 12% said that they will increase spend by 21-40% and 8% indicated that they expect to increase spend by over 40%. The biggest challenges businesses specified were finding the time (31%), content creation (16%), knowledge and understanding (15%), knowing how to reach the right audience (10%), maintaining organic reach (7%), standing out (6%), being consistent (5%) and getting a return on investment (5%). 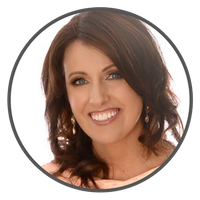 Webinar- 5 Practices that could get your Facebook Page Blacklisted!